The legendary blues singer and guitarist B.B. King has revealed he was off his diabetes medication, when the 88-year old delivered a subpar performance in Missouri on April 4. Audience members at St. Louis' Peabody Opera House were left dissapointed and frustrated after the blues icon only managed to complete eight songs, and interrupted the performance musical snippets and long talks with the crowd. Fed up, some of the audience chose to walkout, while others heckled the veteran muso. A representative for Mr. King has subsequently claimed that the the performer had forgotten to take diabetes medication on the day of the concert, and had been tired following a long bus trip from Las Vegas to St. Louis. "Mr. King suffers from diabetes and he mistakenly missed a dose of his prescribed medication on the show day," the spokesman said to TMZ.com. 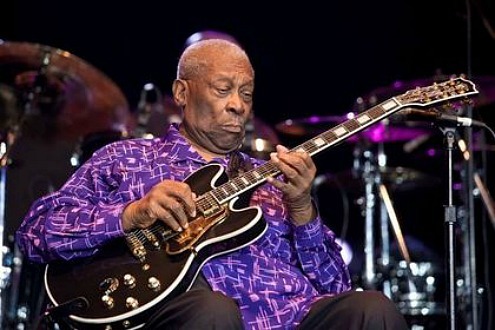 He went on saying, "Simply put, it was a bad night for one of America's living blues legends and Mr. King apologizes and humbly asks for the understanding of his fans." B.B. King was once famous for performing 250-300 concerts per year - when he was a younger man.